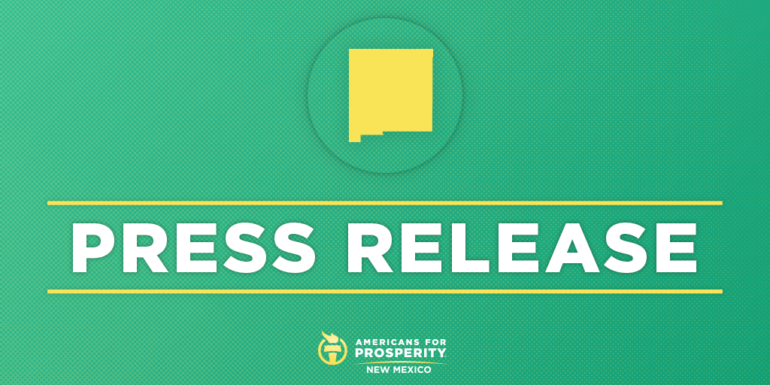 LOVINGTON, N.M. – Americans for Prosperity-New Mexico (AFP-NM) on Thursday applauded Lea County commissioners for unanimously passing the right-to-work ordinance introduced by Commissioner Rebecca Long, making Lea the seventh county in New Mexico to expand workers’ rights. Sandoval, Otero, Lincoln, Chaves, Eddy, and Roosevelt counties have already passed similar right-to-work ordinances. AFP-NM has been at the forefront of the push for right-to-work policies in the state, having launched in 2017 the “New Jobs New Mexico” campaign, a multilayered grassroots campaign to educate citizens about the impact of right-to-work. AFP-NM has been the most vocal advocate in the state for local governments to pass policies that empower New Mexico workers. Last September, AFP-NM launched the “New Jobs New Mexico” campaign – a robust grassroots, direct mail, and digital effort to educate citizens about the impact of right-to-work. AFP-NM first rallied in Sandoval County in August 2017, which passed right-to-work on January 19th, 2018. AFP-NM then mobilized in Otero County, which passed right-to-work on April 12th. Lincoln, Chaves, Eddy, and Roosevelt counties followed on May 15th, May 21st, July 17th, and July 24th respectively. AFP previously used the county-by-county approach in Kentucky, which passed right-to-work statewide in 2017. Prior to statewide adoption only ten percent of Kentucky’s counties had approved of local right-to-work. More than a fifth of New Mexico’s 33 counties have approved of right to-work.